Events: Popular spot for weddings (ceremonies and receptions), banquets, golf events and parties. Lakeside Grill and patio is open year-round for breakfast, lunch and dinner. GBC Golf Academy: 22-stall covered driving range, practice green and chipping bunker. 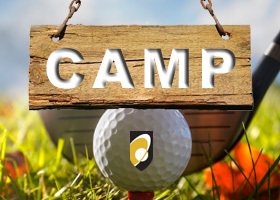 Private, semi-private and group lessons by Canadian PGA professionals. Cancellations or reductions to size of group require 24 hours notice, or will be subject to a cancellation fee per golfer charged to the credit card on file, unless it is raining the day of. If you booked your tee time online, have your confirmation email handy, and click here. If you are experiencing difficulties, please contact the Golf Shop at (604) 276-0585. We ask that you arrive at least 30 minutes before your tee time to allow time to check in and make your way to the first tee. Out-of-bounds: driving range, parking lot and boundaries as defined by white stakes or perimeter fences. Rule 27. Penalty stroke and distance. Water hazards - defined by red stakes. All water hazards are lateral water hazards. Railway ties are considered within the hazard. Rule 26. Power lines: ball striking power lines must be replayed. No penalty. Obstructions: flowerbeds, sprinkler heads, control boxes, driving range net, poles and guidelines interfering with swing or stance. Rule 24. Free drop. Greens: double green margins are defined by yellow post. All balls must be dropped from foreign greens. Rule 25-3. No penalty. Our Dress Code is "golf casual". We want you to feel comfortable in your attire as you play golf. But please, no tank-tops, sweat pants or cut-offs.